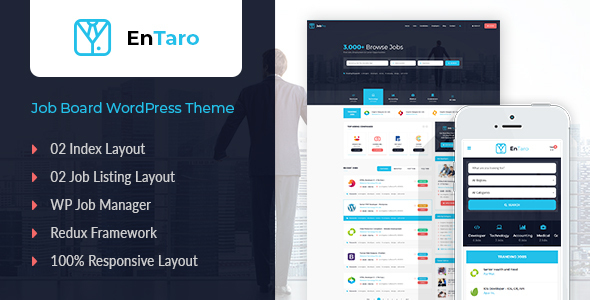 JobPro – Job Portal WordPress Theme is designed for job sites or larger sites requiring a job board. It is a content-driven job directory theme. It allows you to manage types, categories and job listings from the familiar WordPress UI. JobPro comes with the complete integration of ‘WP Job Manager’ to manage its job directory functionality. WP Job Manager – Resume Manager (optional).